These are the words of Julia, wife of a client under the care of caregiver Sheldon Snow. The first thing you will notice about Sheldon is his smile. It lights up the room, it’s contagious and, even by just looking at a picture of him, you can’t help but smile back. Sheldon Snow from Northwest Louisiana is the 2014 National Caregiver of the Year. Sheldon’s journey as a caregiver began when he cared for his own Grandfather who suffered from Alzheimer’s Disease. After his Grandfather passed away he moved in with his Grandmother to help care for her. It was these formative experiences that led him to his passion and his career as a care provider. This “zest for life” can be seen in the way Sheldon goes above and beyond in the care he provides–from making birthday cakes to dressing up as Santa Claus for the holidays. It may seem like a small thing to remember someone’s birthday, or to work to bring a smile, but it makes all the difference to those in Sheldon’s care. Asking for help is not easy. Having someone come into your home to provide care can be difficult. The smiling face of Sheldon quickly alleviates fears and exceeds every expectation. 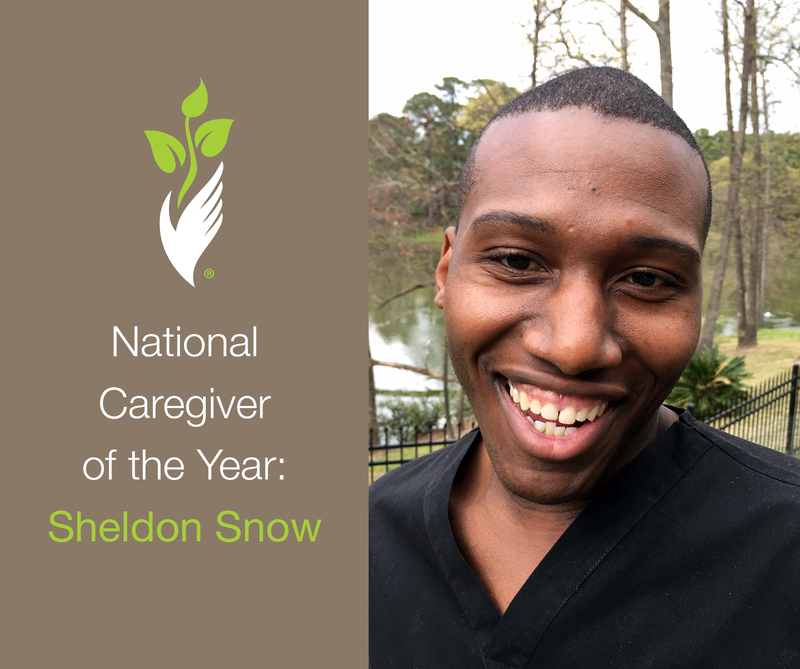 Sheldon Snow, 2014 National Caregiver of the Year, represents the many caregivers referred by Preferred Care at Home and are committed to celebrating life, dignity and independence. It’s a commitment to providing quality care while wearing a smile. Caregivers are extraordinary people. They are compassionate, giving, and kind as well as professional, knowledgeable and committed to providing quality care. At Preferred Care at Home we have had the privilege of partnering with some truly amazing caregivers. Six caregivers were chosen from across the nation as finalists for the 2014 National Caregiver of the Year. These finalists were nominated by Preferred Care at Home owners, senior clients, and client’s family members. Thank you to all the caregivers who have partnered with Preferred Care at Home. We are blessed to know you.